Windows — Choose from a wide variety of options to match your home’s style and your remodeling budget. 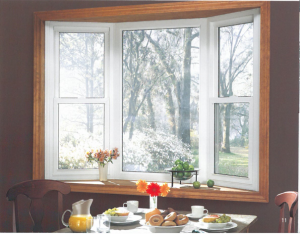 We feature the latest windows from the nation’s most recognized manufacturers to help your home look great while saving money on your energy bills–not to mention up to a Federal tax credit and further refunds from Progress Energy! Doors — We think a home’s doors deserve to be as tasteful as they are functional. That’s why we view every door replacement as an opportunity for you to express your personality, as well as enjoy the security and style a new door can offer. Siding — Today’s home siding offers a rich look and classic style while providing optimal protection in the worst weather conditions. We carry a huge array of materials, from vinyl to cement-based and more, and have many colors to choose from. And we back them all with a full manufacturer’s warranty to give you peace of mind for years to come. From turning your existing porch into a livable space to building a new deck, replacing gutters or adding custom awnings, Gerald Jones brings decades of home remodeling experience to every job. No matter what your needs, we’re the region’s leading home improvement service contractor for a reason. Call the Home Improvement Contractors at Gerald Jones Today! See what hundreds of satisfied customers in Cary, Apex, Morrisville, Raleigh, North Raleigh, Durham, Chapel Hill, Hillsborough, Mebane, Roxboro, and Creedmor already know – Gerald Jones gets the job done right. Visit our Durham, North Carolina showroom, or contact us to set up a free in-home estimate today!